As I looked over my list of Core Desired Feelings (which I recently totally overhauled and I need to write about), one stuck out above the others at this point in my life. So what does unapologetic mean to me today? I do not apologize for taking time for myself. I do not apologize for taking space for myself. I do not apologize for my priorities and goals. I do not apologize for saying no. I do not apologize for saying yes. I do not allow guilt - either from myself or from others - to cloud my decisions. I trust that I make informed, educated, and considerate decisions. I will not allow myself to question beyond what is healthy and necessary. I do not apologize for not meeting unrealistic expectations of my time and energy. The interesting thing as I worked through this definition? I initially typed "I will not" for each of these. Like it is something I am aspiring to do or be. Like it is a goal statement instead of a factual statement. And then I went back and changed "will" to "do" in each statement. And, holy wow, what a difference that made. The difference between a hope and a declaration is powerful. 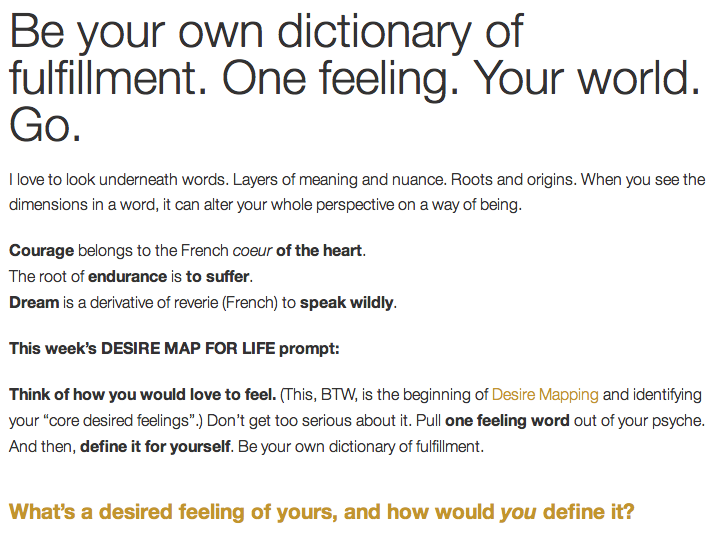 So what word brings fulfillment for you? And what are you doing to make it happen?